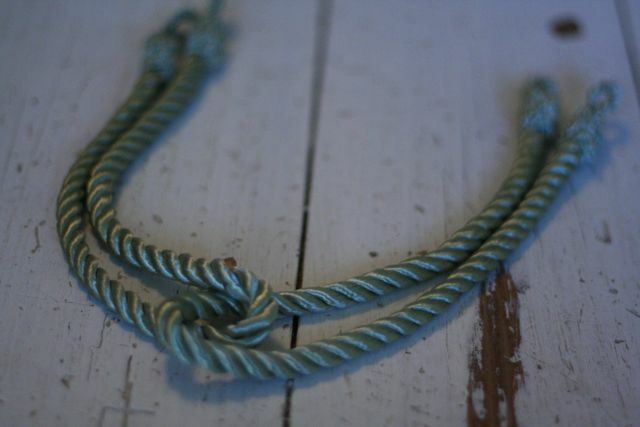 I saw this a while back on love Maegan and wanted to make one and so I have been keeping my eyes out for these curtain tiebacks. 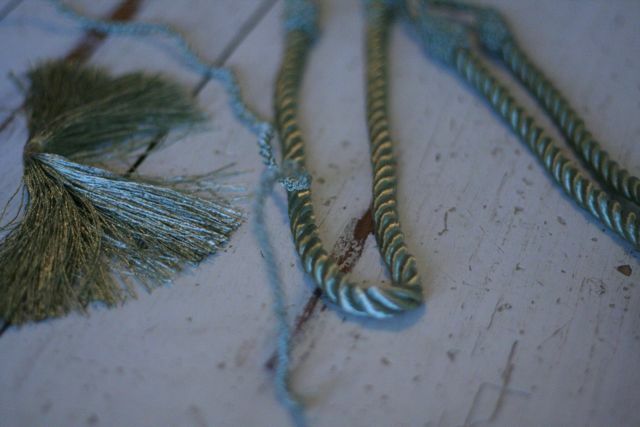 I was worried at first because the kind I found at the goodwill were with tassels, but fortunately when you take the tassel off they are just plain tiebacks. So lets get started. You will need two curtain tiebacks and ribbon. 1. 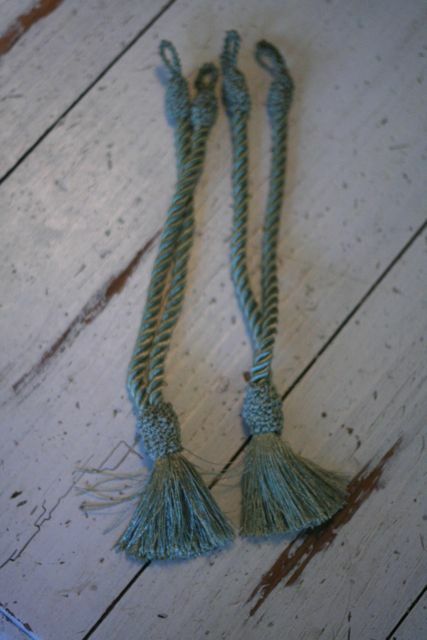 If your tiebacks have tassels, take them off. If not skip this step. 2. Loop them together like this. 3. 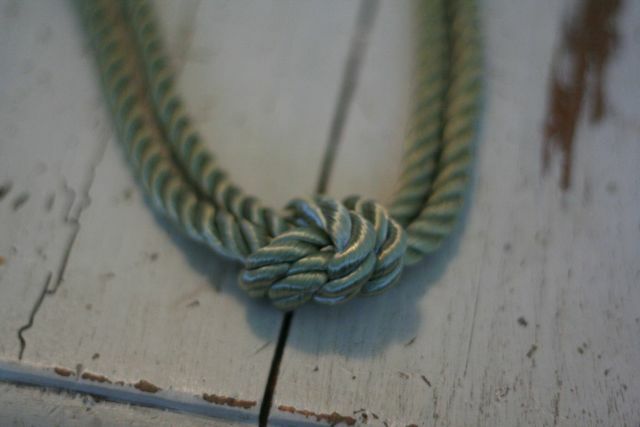 Knot together, pull tight. 4. 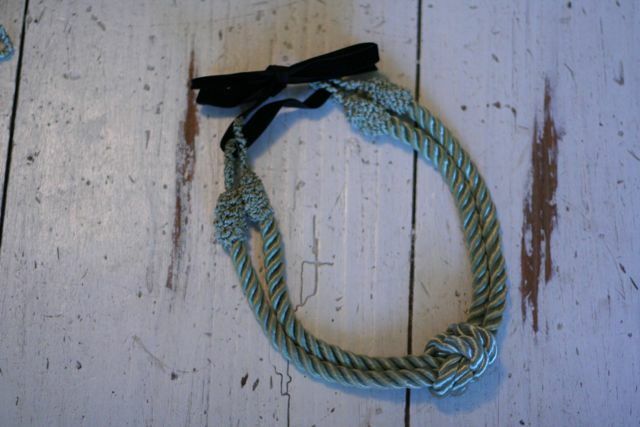 Using ribbon of your choice, pull it through the 4 loops and tie in a bow. Super easy and super cute. Check out love Meagan’s two tone version here. This entry was posted in Check this out!, DIY, Recycled, repurpose, tutorial, upcycle on June 30, 2010 by Deanna.